Sorry... the 2017 Toyota Prius v is no longer being sold as new. 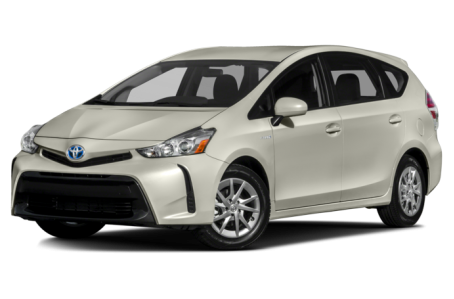 The Toyota Prius v is the largest model in the Prius family, offering more cargo and passenger space than the regular Prius. It has room for up to five people. Four trims are available: the Two, Three, Four, and Five. Toyota has updated the Prius v's multimedia system with Apple Siri Eyes-Free capability and voice recognition.